My old friend Karl Shuker shared this neat pic that was posted by the National Cryptid Society. Reminds me of the reports from tropical Asia of bigfoot-like entities – not all such cryptids in Asia are yetis restricted to the icy mountain ranges, it would seem. 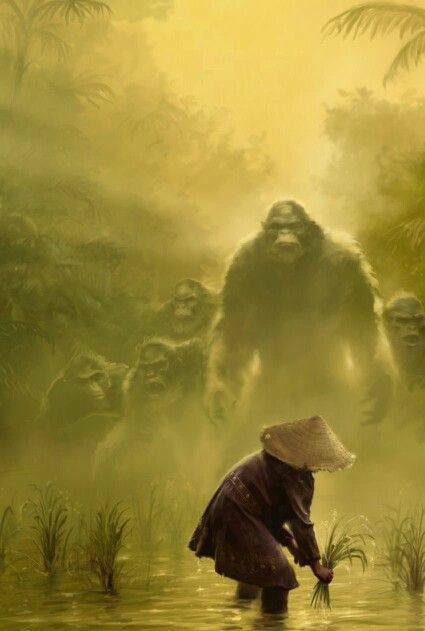 Quite likely a rock ape that everyone encountered in Vietnam and Cambodia during the war there. Karl said he’s going to do a book about them!